Here are two videos Elsa and I found when we were doing research before I purchased the Leatt neck brace. The search all started when my wife Elsa was in a car wreck last November that totaled her Mini and seriously aggravated an existing neck issue she had. It really got me thinking about how fragile our bodies are as we head off into the back country on our 600+ lb adventure bikes loaded down with gear. I for one, have always followed the rule of ATGATT (All The Gear, All The Time). While in the military, they required us to “show no skin below the chin” plus wear reflective/brightly colored outer clothing while on the instillation. It’s something that has become second nature to me. 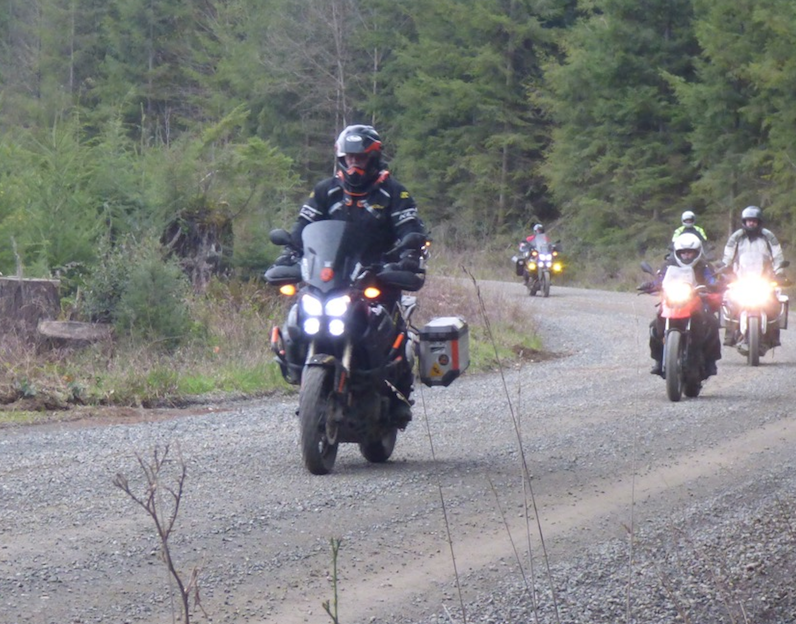 Venturing off road in the back country only increases the possibility of something going wrong, especially without quick access to paramedic services. The neck brace I purchased from RevZilla was the Leatt SNX. The SNX is actually designed for snowmobiles and meant to be worn over your jacket, the same way we ride on/off road in our protective street gear. It also has the same “shelf” angle as the off road designed neck braces for upright sitting on our bikes. 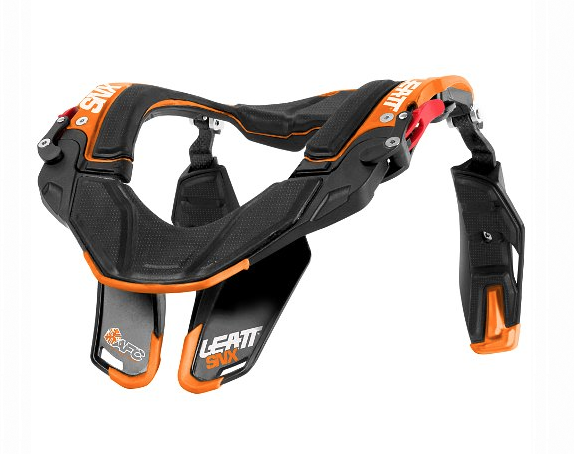 Leatt makes a few other neck braces that fit over the jacket for road racing but they are designed for the full tuck of a sport bike on the track. Watching the videos really showed me the science that goes into the design. Yes, they are fairly expensive , but like a good helmet, I think it’s worth it to spend the money for safety’s sake. I’ve worn the neck brace a few times now and I have to say it’s very comfortable! More so than my helmet. I actually forget I’m even wearing it. So when you see me out at events, you’ll know why I’m wearing the Leatt neck brace. You’ll see Elsa in one too once she is all healed up and back on two wheels. The SNX fits over your jacket. The model you are looking at fits under your shirt, it’s mainly used by motocross guys.